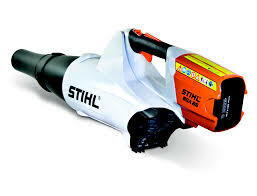 STIHL blowers for the home are made with weekend warriors in mind. These lightweight blowers are a breeze to use and can power through cluttered yards and walkways without hesitation. From electric and battery-powered motors to high-efficiency, low-emission, gasoline-powered engines, STIHL blowers deliver lasting quality in a product you'll enjoy using. STIHL blowers used around the home include a wide range of quality components, including high-tech polymer housings that resist corrosion and withstand impacts; adjustable blower tubes for custom height preferences; and upright, translucent fuel tanks for easy checking and filling (gasoline-powered models only). The list goes on. And almost all of these blowers also accept vacuum and gutter cleaner kits, making them even more useful around the home. There's no better choice for keeping your personal landscape looking pristine.